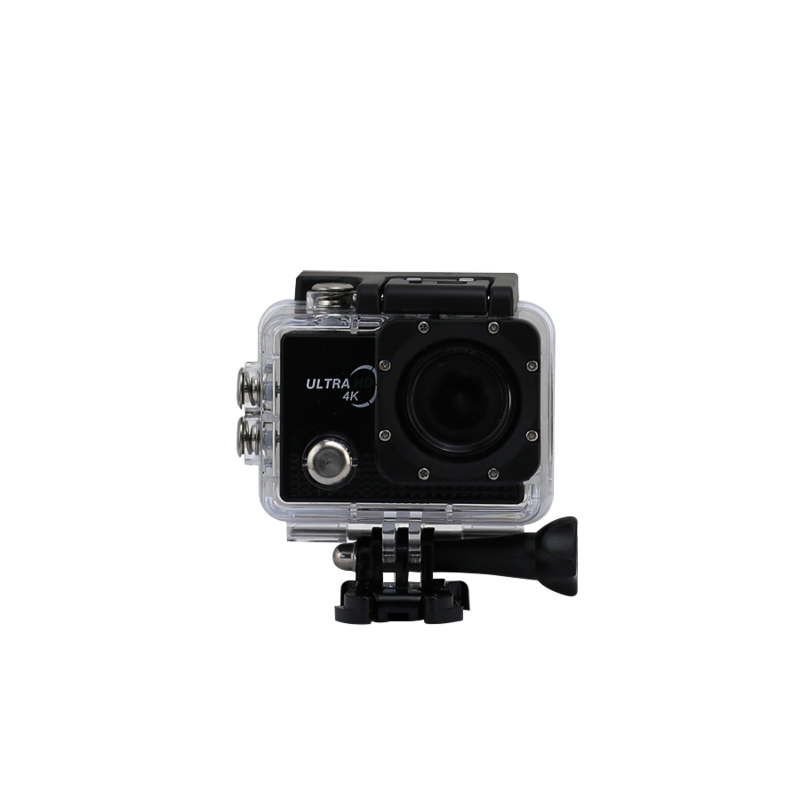 This action camera captures still photos and video, plus its waterproof case means you can also use it as an underwater camera. Record great quality Ultra HD video with a 170º wide angle lens in 4K @ 30 fps or if you prefer step down the film quality to 1080p @ 60fps or 720p @ 120fps. Still photos can be taken up to a resolution of 16 megapixels. The camera also has time lapse and slow motion functions. Start recording video or take photos with a remote control without having to reach for the camera. The sports camera can also be controlled via WiFi using the free phone/tablet app. Plus there's a 2 inch colour display built in to the rear of the camera. Using WiFi, you can download video or photos straight to your phone or tablet and post them straight to the web. 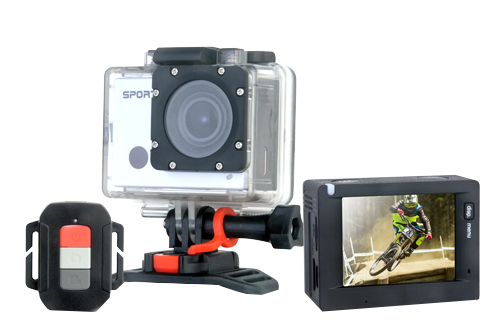 Waterproof case to turn your action camera into an underwater camera, helmet mount, bicycle mount, band, USB Cable, user manual.